Conflict-Free Diamonds: What Does it Mean? Home » Learning Center » Jewelry and Lapidary » Gem Buying Guides » Conflict-Free Diamonds: What Does it Mean? Ethical concerns over diamond mining practices spurred industry leaders to implement better supply chain tracking. While some believe these changes have made a real difference in the trade, others argue they haven’t gone far enough. In truth, the majority of diamonds available for sale are conflict-free diamonds. However, there’s more to diamond ethics than being conflict-free. Learn more about ethical diamonds and how to choose the gem that’s right for you. 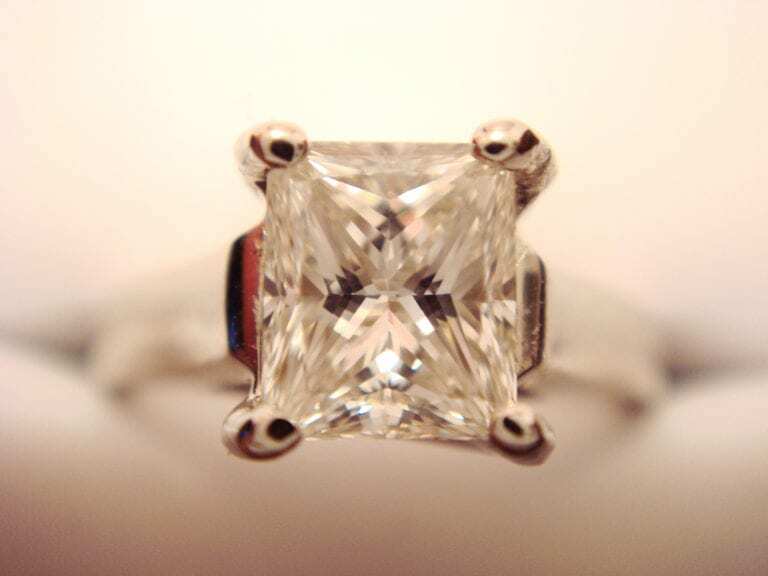 Lab-created diamonds are becoming a popular, ethical alternative to mined diamonds. © CustomMade. Used with permission. The 2006 movie Blood Diamond made many consumers aware of the issues surrounding conflict diamonds. A fictionalized account of how warlords in Sierra Leone funded their bloody civil war with diamonds, the movie rightfully shocked Western audiences. 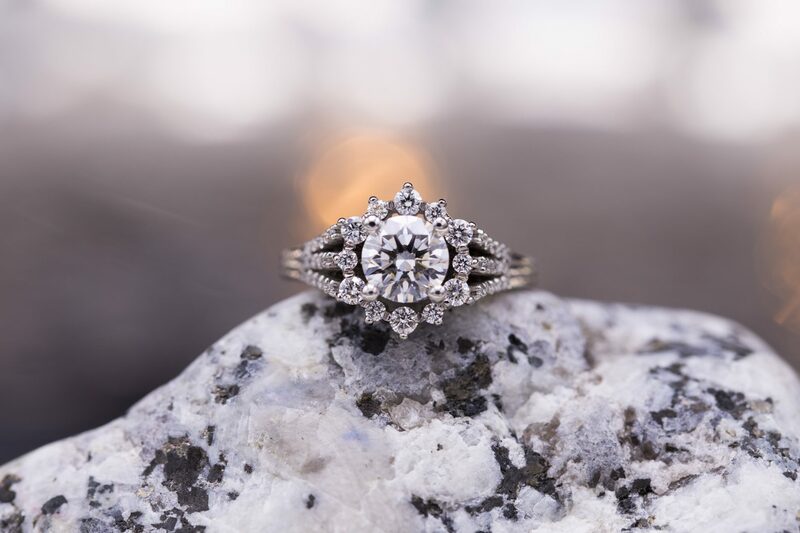 Ever since, the question of ethical diamond sourcing has come to the forefront for many young couples purchasing an engagement ring. For the purpose of this article, we’ll distinguish between conflict-free diamonds and ethical diamonds. Conflict-free refers to diamonds which have not financed civil wars. Ethical diamonds go further, ensuring fair pay, safe working conditions, environmentally sound practices, and no human rights abuses. In 2003, the Kimberley Process was implemented in its member states. This process aims to follow diamonds from mine to market and ensure that conflict diamonds don’t enter the global diamond trade. However, there’s little oversight and no way to know which mine a diamond came from. Because of the complexities of diamond trading, the stones may change hands dozens of times, from the mine through various wholesalers to a diamond cutter through more wholesalers and, finally, to retail. Along the way, each trader must certify that the diamond parcel is in compliance with the Kimberley Process. Rough diamonds at Diamond Sorting Centre, Mirny, Yakutia, Russia. Photo by Ptukhina Natasha. Licensed under CC By-SA 3.0. It’s possible that conflict diamonds are mixed into these parcels at one stage or another. All we have is the word of the traders. Regardless, this process works most of the time, and it’s highly unlikely that any diamond compliant with the Kimberley Process is a conflict diamond. While the Kimberley Process has greatly reduced the feasibility of conflict diamonds reaching Western consumers, it doesn’t guarantee ethical diamonds. Artisanal mining produces approximately 15% of the world’s diamonds, most of them compliant with the Kimberley Process. 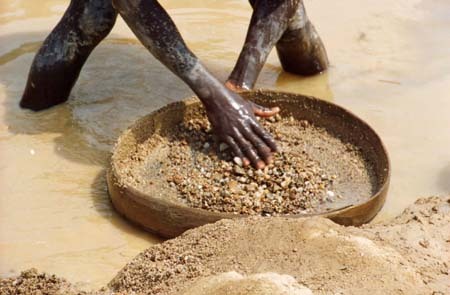 A miner in Sierra Leone searches his pan for diamonds. Photo by USAID Guinea. Public Domain. However, human rights groups have cited concerns over child labor, exploitation, and unsafe conditions. In addition, environmental degradation due to artisanal mining is significant. While many would prefer not to buy an artisanally mined diamond, mining provides an income for an estimated 1.5 million artisanal miners worldwide. Since diamonds constitute a major component of the economy in these rural areas, a full boycott could devastate some of the world’s poorest communities. If you’d like to purchase a diamond but you’re concerned about contributing to artisanal mining, consider putting aside a portion of your budget for a donation to the Diamond Development Initiative (DDI). The DDI works to improve living and working conditions in artisanal mining communities. They also contribute to education and environmental cleanup. 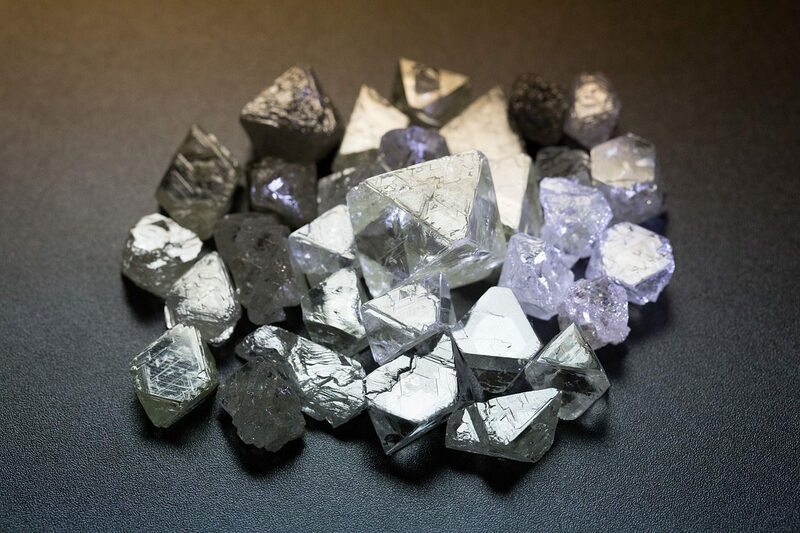 Although the Kimberley Process doesn’t truly track diamonds from mine to market, Canada’s Dominion Diamond Mines have a fully audited process to ensure ethically mined diamonds. Canadamark diamonds have a unique serial number that you can enter on their website to verify your diamond’s authenticity. Be wary, however, of diamonds advertised as Canadian in origin without the Canadamark certificate. The origin of these diamonds is certified by the seller, whose audit may not be as reliable as the Canadamark process. In addition, while these diamonds may indeed originate in Canada, they’re often cut and polished in India, where safe working conditions and fair wages aren’t guaranteed. While these diamonds come with a price premium, they also come with peace of mind. Keep in mind that the Canadamark brand doesn’t imply high quality. 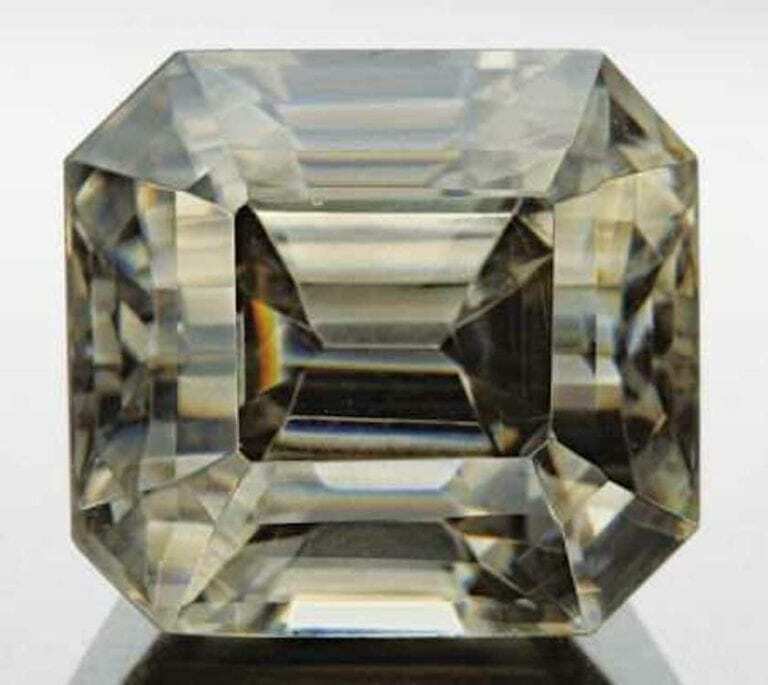 Poorly cut stones and diamonds with clarity issues like this 1.20-ct SI2 diamond still bear the Canadamark brand. © James Allen. Used with permission. Recently, companies have tested blockchain technologies for tracing diamonds from mine to market. Blockchain, the technology behind bitcoin, creates a chain of information that’s nearly impossible to manipulate falsely. Blockchains tailored to the diamond industry are robust supply chain verifiers. However, most of these tracking systems are still in development. One company which has begun tracking diamonds, Everledger, still has a way to go. 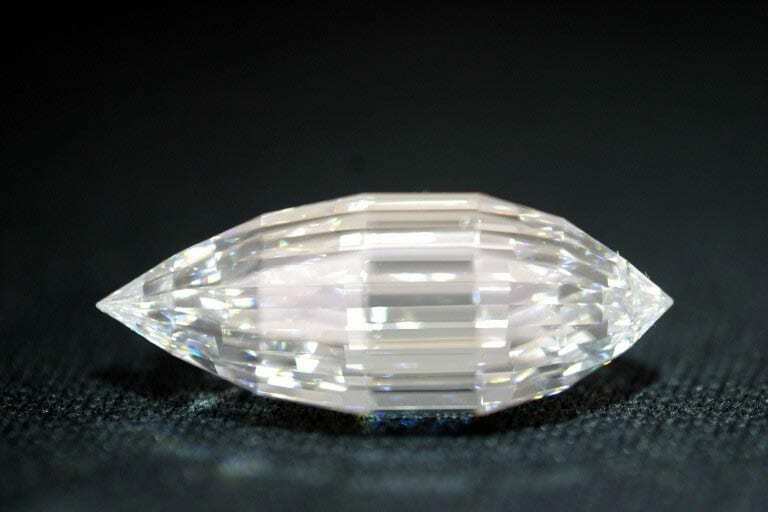 Their sample report shows a diamond from a Botswana sort to a GIA certificate. While this is an excellent start to transparency in the diamond industry, tracking would ideally begin at the mine. From mine to rough sort, there’s only the Kimberley Process certificate to rely upon. One option to consider when searching for ethical diamonds is a laboratory-created diamond. 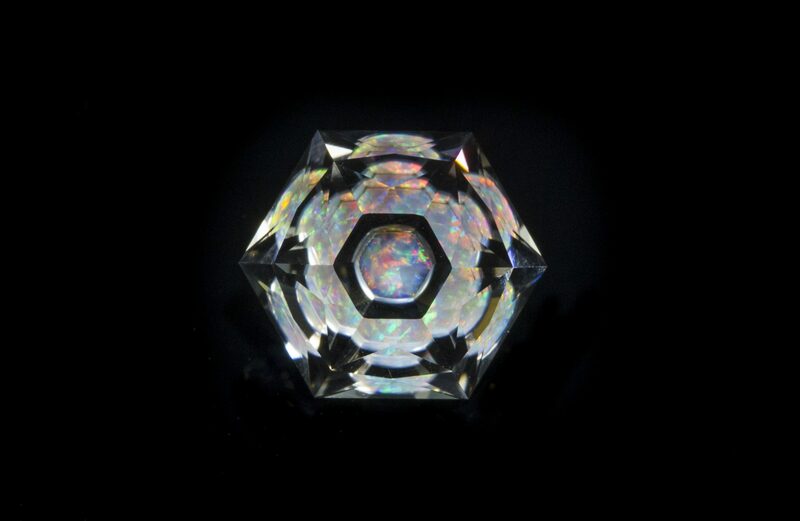 These are chemically and optically identical to a mined diamond. In other words, they’re just as beautiful and durable! With none of the human and environmental consequences of mining, these diamonds are sustainable. 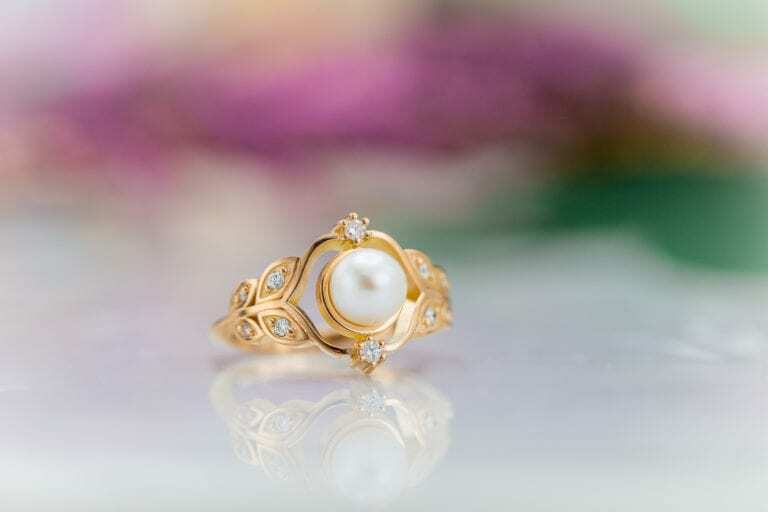 Better yet, they’re much cheaper, allowing you to choose a larger center stone or save some money. However, their resale value is near zero. The environmental impact of mining is clear in this image of Australia’s Argyle mine, one of the more eco-friendly diamond mines. Photo by David Gardiner. Licensed under CC By 2.0. Another option is to choose a recycled diamond. Whether heirlooms or great finds at estate sales, already-worn diamonds are the largest source of diamonds on the market. 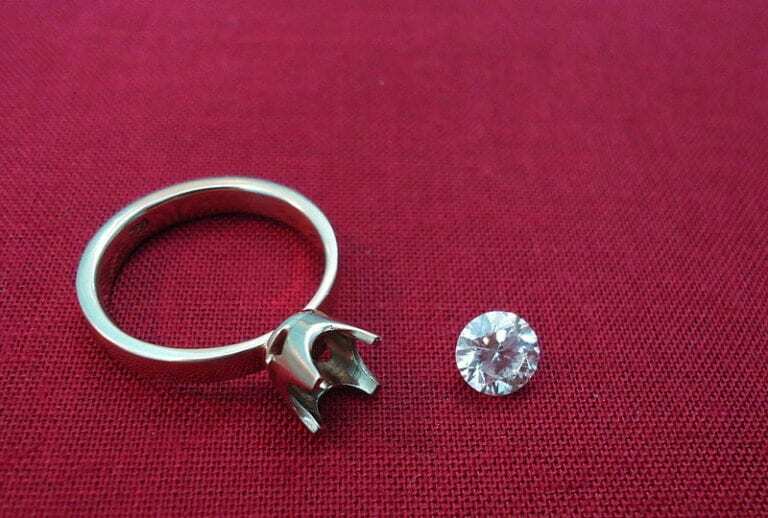 Some diamond dealers purchase old diamonds, remove them from their settings, clean them up, and re-cut if necessary. Then, they sell the stones as recycled. 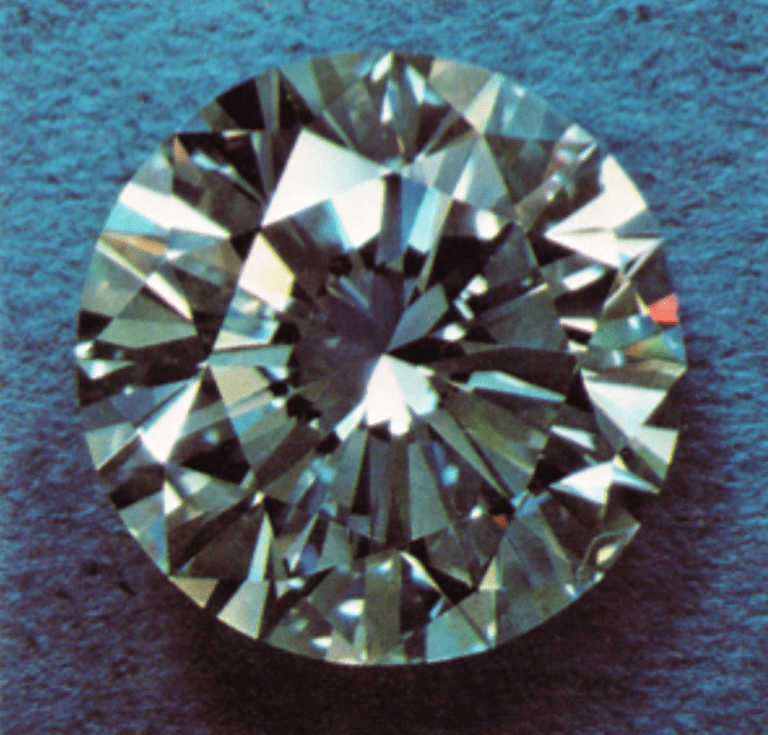 Purchasing a recycled diamond doesn’t contribute to the demand for mined diamonds. In addition, they should be cheaper than a new diamond, so they will retain some value! If your heart isn’t set on a diamond engagement ring, consider other alternatives. Gemological laboratories can determine the origin of many kinds of gemstones, which isn’t the case with diamonds. 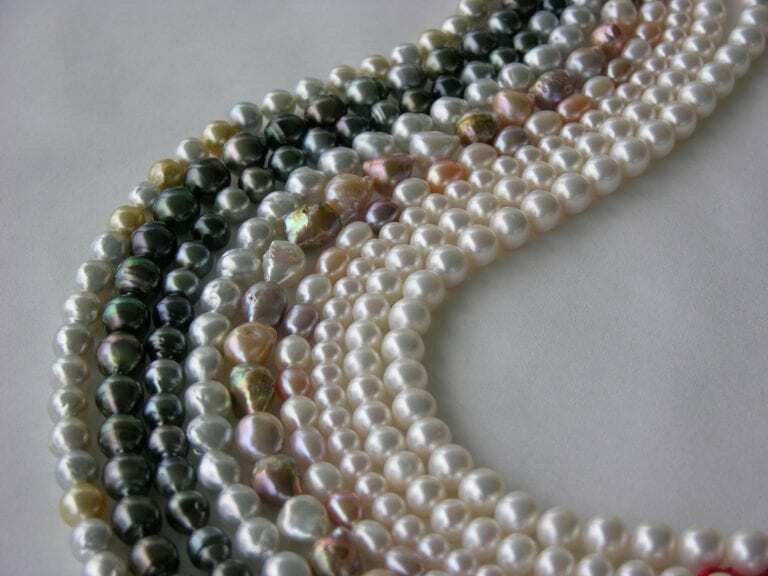 In addition, colored gems generally pass through fewer hands than diamonds, so even dealers can often tell you the country of origin. While many colored gemstones also come from places with poor working conditions and human rights abuses, you have more options to choose from. 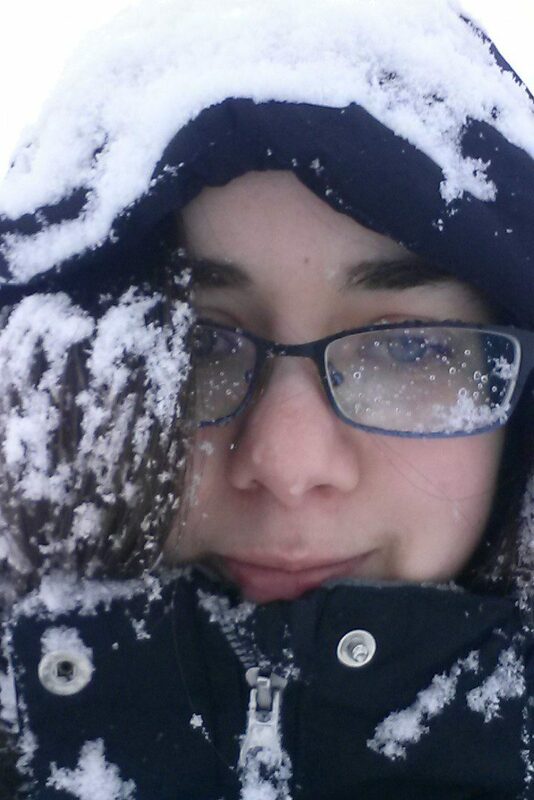 For example, many attractive gems originate in the US! 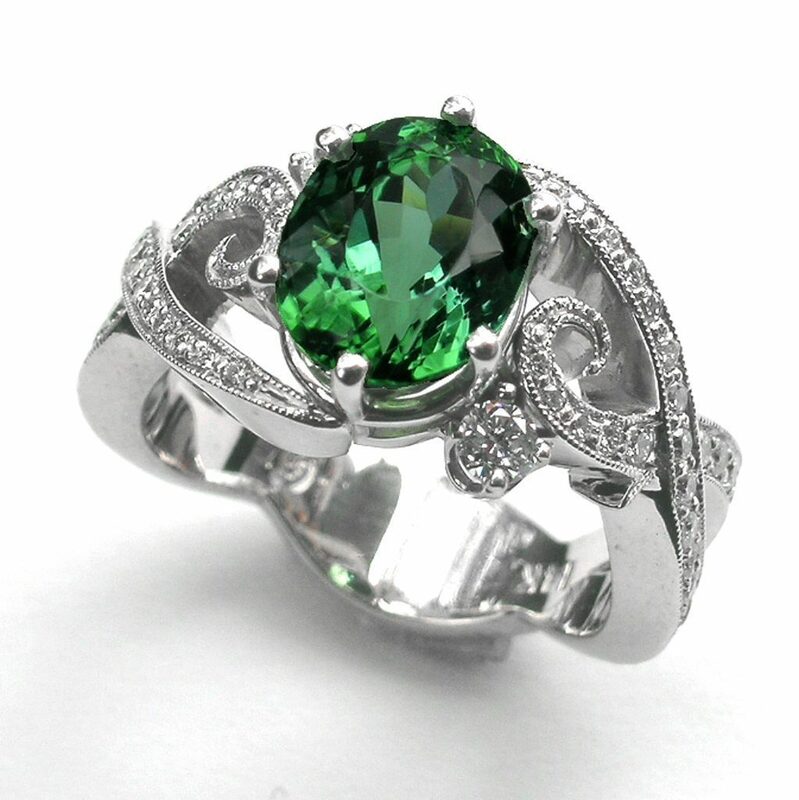 Some green tourmaline is mined in the USA. Green tourmaline photo by The Gem Vault. Licensed under CC By 2.0. Where Can I Buy Conflict-Free diamonds? Conflict-free diamonds which are certified by the Kimberley Process can be purchased through any reputable dealer. 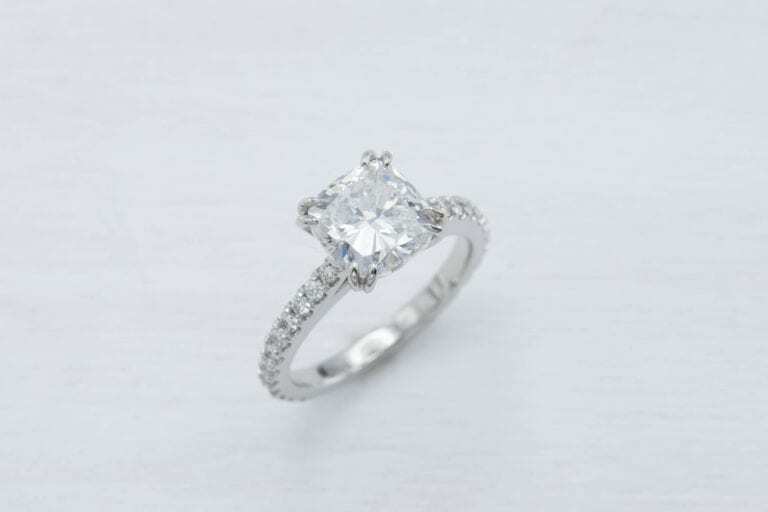 If you purchase online, we recommend James Allen and Blue Nile for the 360° views of their diamonds. This lets you see their quality! 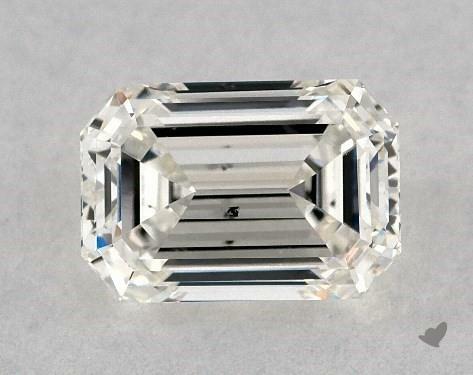 If you’re set on a new, mined diamond but concerned about artisanal mining practices, consider a Canadamark diamond. Alternatively, make a donation to DDI to support mining communities. 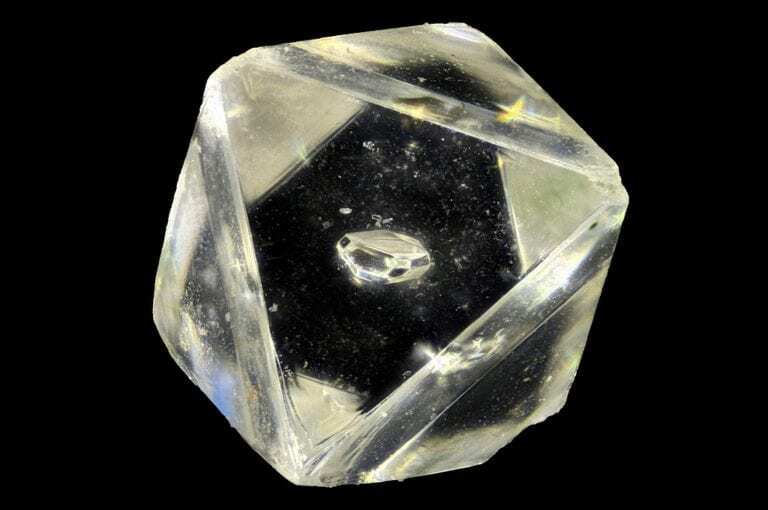 Lab-created diamonds offer an inexpensive alternative to mined diamonds. However, no online vendor has 360° views of lab-grown diamonds. 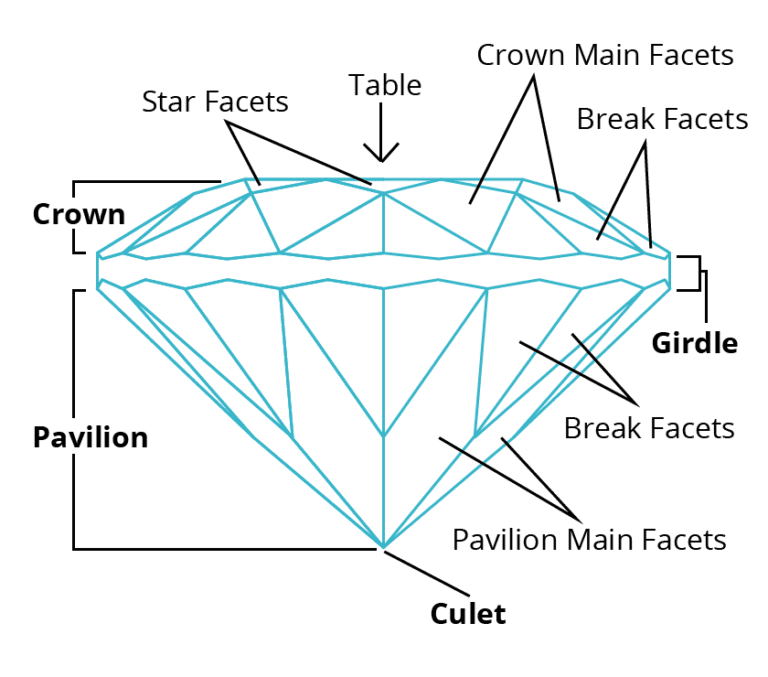 Working with a jeweler such as CustomMade, you can rest assured that your lab-created diamond will have great sparkle. Furthermore, you can place it in a design to perfectly suit your personality! 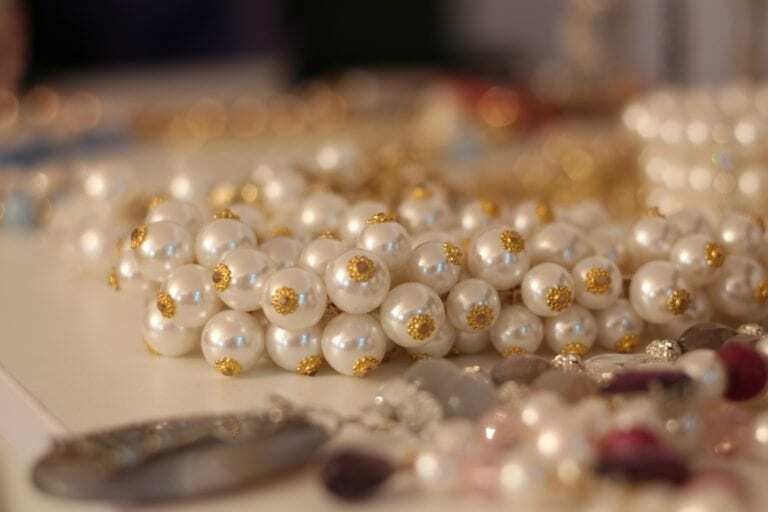 You’ll also find that images of recycled diamonds are absent from most online vendors. In addition, few give them a significant discount compared to newly mined diamonds. Instead, try asking family members or checking out estate sales. Or, find a jeweler who deals in antique and recycled diamonds.